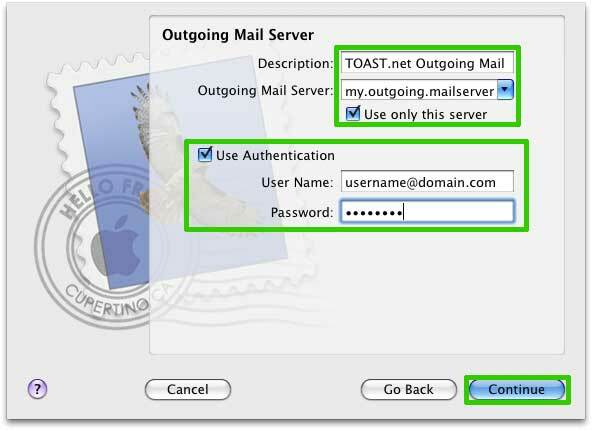 Applies to: Users wishing to configure Mac Mail to receive email from a Corporate Mail account. 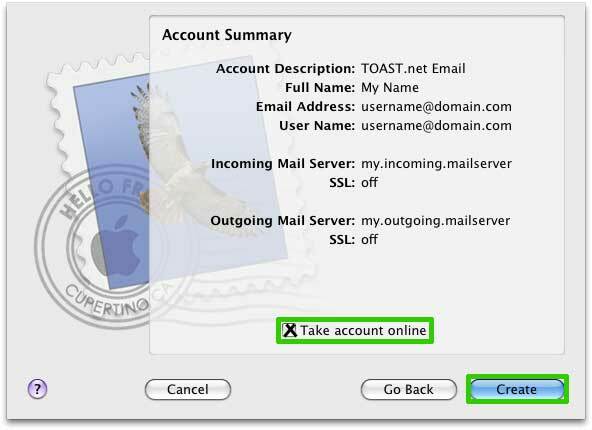 WARNING: If you are currently using a POP3 email settings in Mac Mail, removing the account may also delete all of your email. Please back up any email before adjusting your account settings. 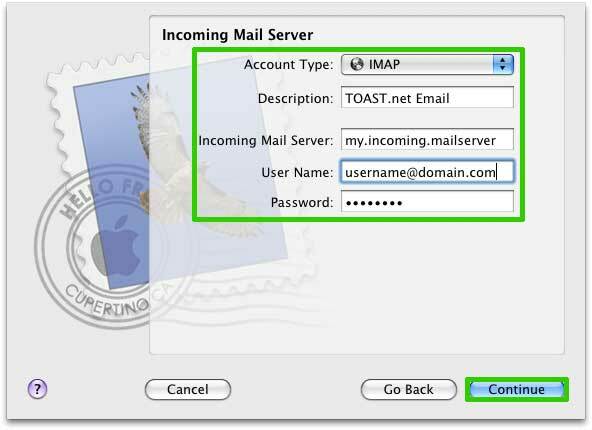 Click on the Mail icon to open Mac Mail. Make sure the Accounts button is selected and click the + (Create an Account) button on the lower left corner of the window. Type your Full Name, your complete Email Address, and the Password for your account, then click Continue. Verify your settings and check Take Account Online. Click Create. 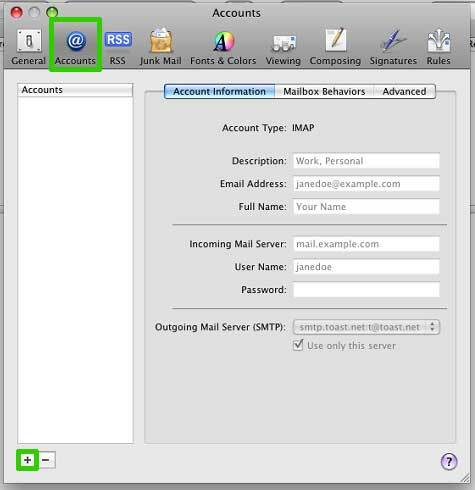 On the Mail screen, open the Mail menu and select Preferences. Choose your new account from the list on the left. Make sure "Use SSL" is unchecked. 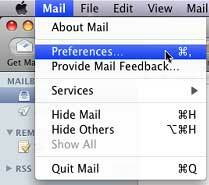 Close the Mail Preferences window. 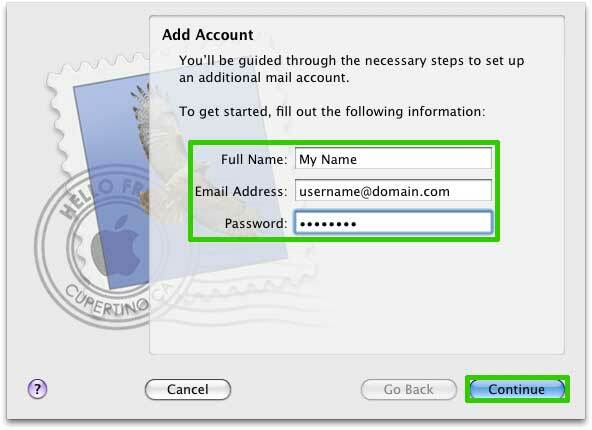 Your account is now set up for use with Mac Mail.